Day 3: The scientific programme begins. It’s been a totally different day. The pomp and ceremony is over. The flags stand like silent, still soldiers in their position. The singing, drumming and dancing seems a long time ago because this morning the scientific programme commenced and all the delegates have been getting down to the serious business of listening, questioning and learning. To say it is an impressive programme is an understatement. There are plenary sessions, concurrent sessions which each consist of three presentations, workshops and symposiums which have several speakers with a common focus. There are also the poster displays containing more than 500 posters and the exhibition. All this needs to be tightly managed as the conference centre is vast and you might be in one part of the building for one session and the other side of the building for the next and at some point a coffee and a loo visit will have to be included. So arriving at the right sessions on time requires forward planning, time management and a fast walking pace! So what were my highlights today? Well there have been many excellent sessions on a range of subjects including human rights, accessing antenatal care in different parts of the world and cultural safety as well as midwife-led birth centres, managing breech birth and perineal care. My favourite session was Marie Lewis presenting her PhD research on Women’s Experiences of Trust within the Woman/ Midwife Relationship. 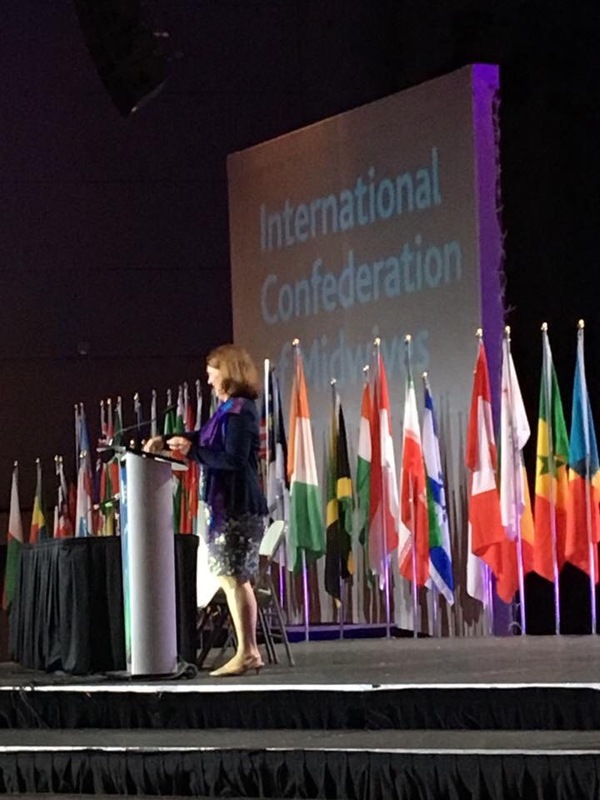 Marie noted that the word trust is being used frequently in relation to midwifery but with no concencus on what it means within the woman/midwife relationship. She carried out a concept analysis initially and then interviewed 10 women several times during their pregnancies and after their births. She found that trust built during the pregnancy and was reciprocal. 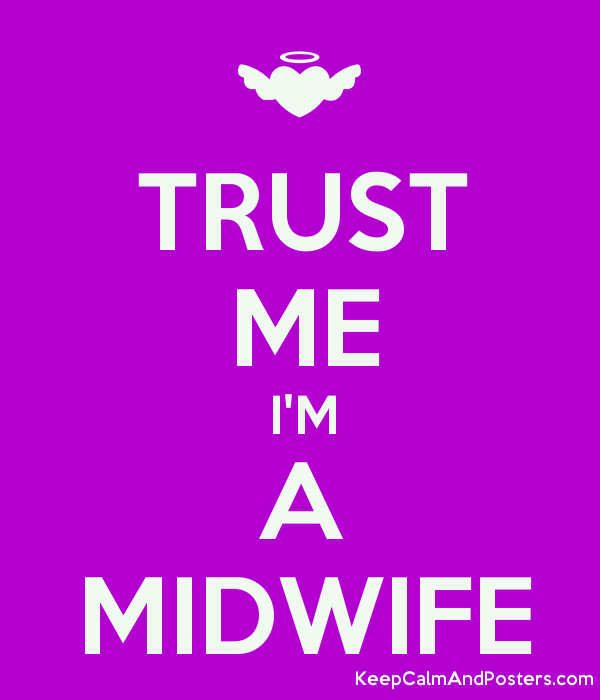 Women had a need to trust midwives but midwives also need to be able to trust women to make their own decisions . I loved this research because it has links with my research on compassion . Marie gave a flawless presentation and there were lots of questions from the audience. 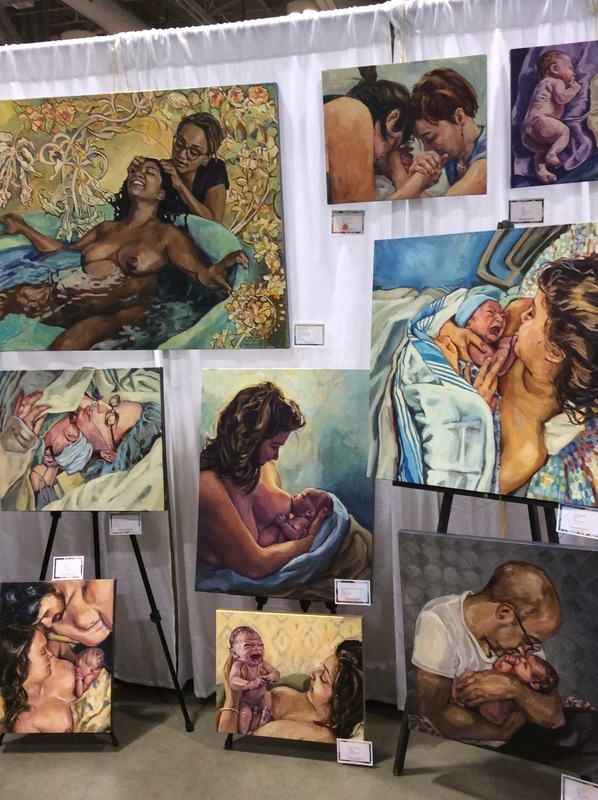 The Kangaroo Mother Care (KMC) Challenge is drawing a lot of attention. Premature birth is now the leading cause of death for young children worldwide. KMC is an effective way to meet a premature baby’s basic needs for warmth, nutrition, stimulation an protection from infection. It is thought that this sort of care has the potential to save hundreds of thousands of babies’ lives and yet it is not widely utilised. 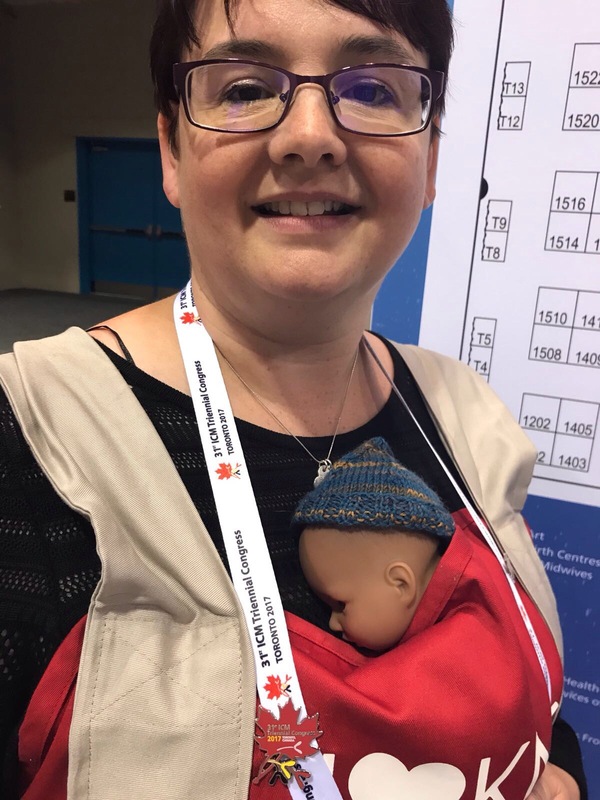 Many of the ICM delegates are taking up the challenge to try out kangaroo care with a premature baby doll for 24 hours to raise awareness and generate more discussion and debate on KMC. Here is Dr Luz Bailey taking up the challenge. What a stimulating day. Tomorrow there is lots more and the 4pm session in Rm there is a session entitled Giving Voices to Respectful Care when I will be one of the three presenters . I will be presenting my work on The Concept of Compassionate Midwifery. Do you have thoughts about what Compassionate Midwifery is? I would love to hear them. Come along and hear my session and contribute to the discussion.